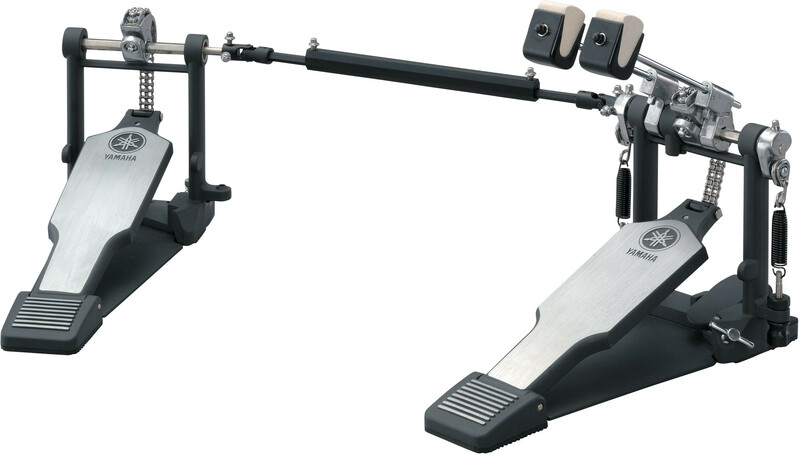 The Yamaha DFP-9500C Chain Double-Bass Kick Pedal features a chain system. The pedal is built for rigorous use with stabilizer bars cast into the pedal frames, longer and wider foot boards for stable feel. The DFP-8500C has adjustments for beater angle, footboard angle, and spring tension. Gibraltar's SC-3262 solid wood beater provides you with a much louder sound than your average felt beater. Its sturdy steel shaft is designed to fit most pedals. 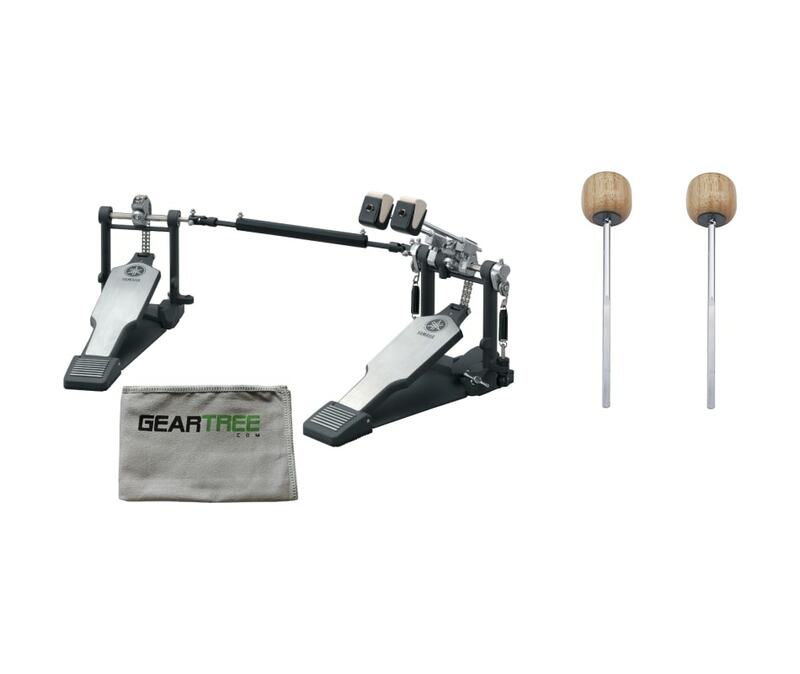 Wood beaters provide extra attack and volume on acoustic bass drums. The DFP9500C is a double chain drive double pedal, with an optional woven nylon belt included if you prefer the feel of a strap-drive pedal. The DFP-9500C has adjustments for beater angle, footboard angle, and spring tension. The pedal frames have stabilizer bars cast into them below the rocker shafts to eliminate flex. This keeps the bearings in alignment and gives the pedal a smooth feel. The hole in the beater hubs are tear drop shaped so it securely holds the beater shafts and keeps the new two-sided beaters from spinning. The new beater is felt on one side, and hard plastic on the other. The side-adjustable hoop clamp holds firmly to different thickness hoops, and tightens with a wing bolt. The DFP-9500C ships in a hard sided soft case to keep the universal joints, beaters, and pedals together for transport.